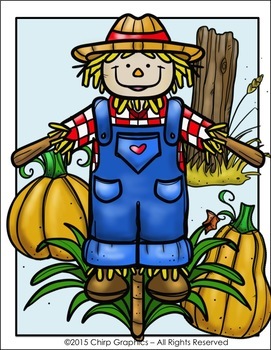 This scarecrow seems to be having trouble scaring the crows away. 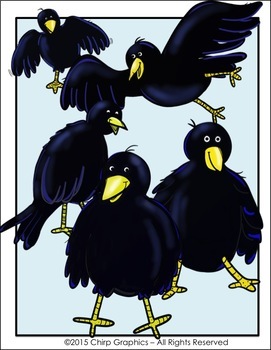 But that's a good thing 'cause the crows in this set are darn cute! 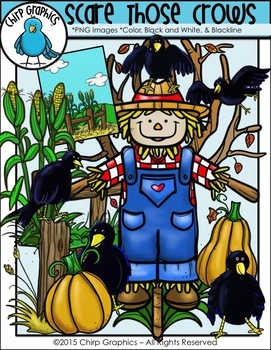 This fall set of Scarecrows and Crows clip art contains a total of 38 images - 13 black and white, 12 blackline, and 13 colour. Each of the png images is cropped and sitting on a transparent background. For a closer look at the collection, click on the "Preview" button. 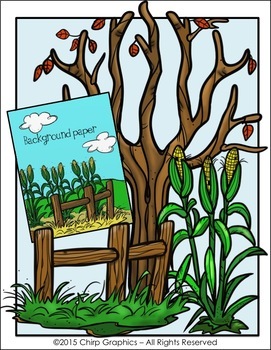 Images may not be re-sold or given freely as clip art (in whole or in part), but you may use them on your personal resources, or embed them in the teaching resources that you create to sell on TpT or TN. Want to be notified of exclusive freebies, clip art updates, and contests? Sign up for my short monthly Chirp Graphics newsletter! All new subscribers receive a FREE Kids Holding Signs and Pencils Clip Art Set for signing up. Sign up here!